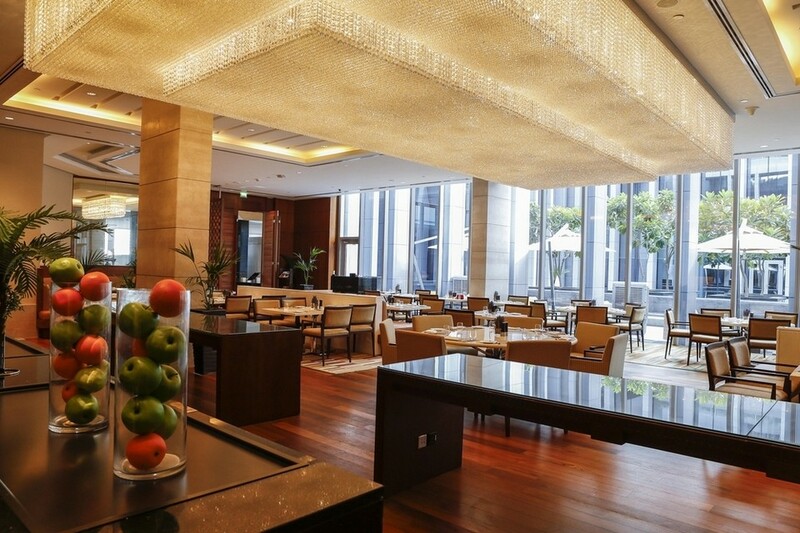 The Oberoi Hotel Dubai - Where Style and Grace Greet You at Every Turn. We checked in very early, on a warm Thursday morning, as our Etihad flight from London landed at Abu Dhabi at 1.30 am. Our drive from Abu Dhabi to Dubai was along a brightly lit highway and we entered the hotel lobby at a little before 3 am. We were welcomed by a smiling receptionist, Katrina, who said that she would complete the check-in at our suite. Our suite, one of 252 tastefully done up rooms at this magnificent hotel, was located on the 11th floor. Despite the early hour, the lights from the surrounding glass buildings made for awe-inspiring views through the floor to ceiling windows, a unique feature present in every room at the hotel. 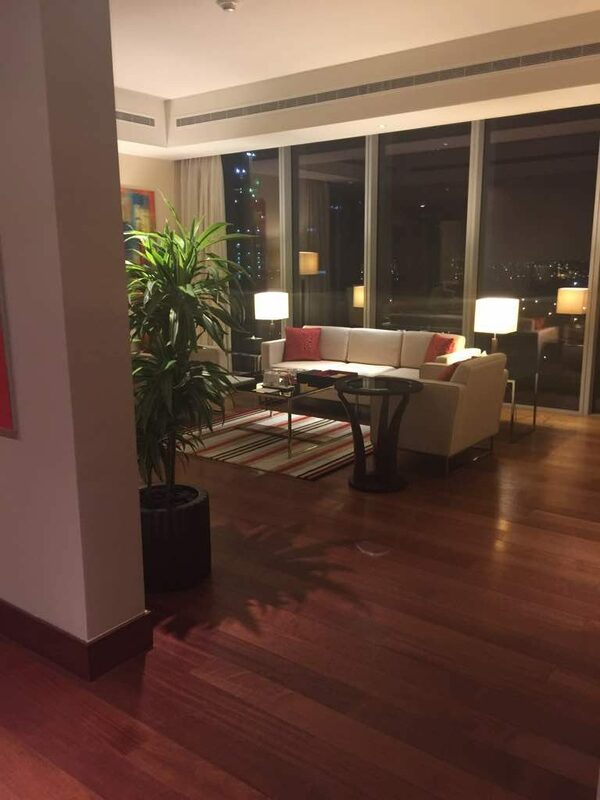 After an introductory walk around the spacious living room, with its vast views of Dubai, Katrina showed us to our bedroom which was equally grand in its decor and had an attached verandah with comfortable cane seating. From the tall windows in our marble bathroom, we had a splendid view of the Burj Khalifa, which we were told could be reached by taxi in less than 10 minutes. When Katrina left, Laveena and I showered and almost immediately retired to the comfort of our large king-sized bed. We were tired from our flight from London and couldn’t wait to catch up on our sleep. I didn’t have my morning coffee until 11 am. I walked out to our grand living room, started up the Nespresso machine and selected a Ristretto espresso capsule, a full bodied intense South American coffee known for its strong roasted and bitter notes. One shot was enough. I was wide awake and called our butler Anastasia, requesting her to organise breakfast for us in our room, after which I said we would be stepping out to visit the Dubai Mall. 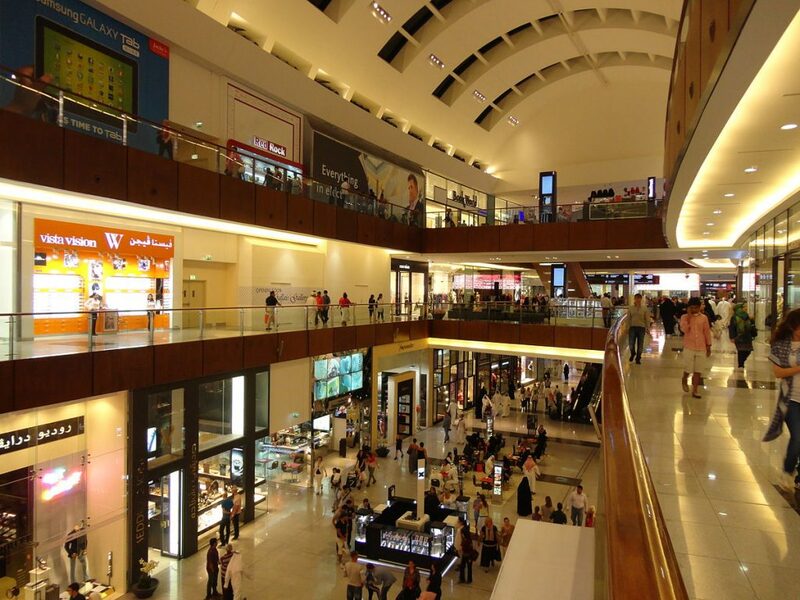 Ramadan is an excellent time to visit Dubai. 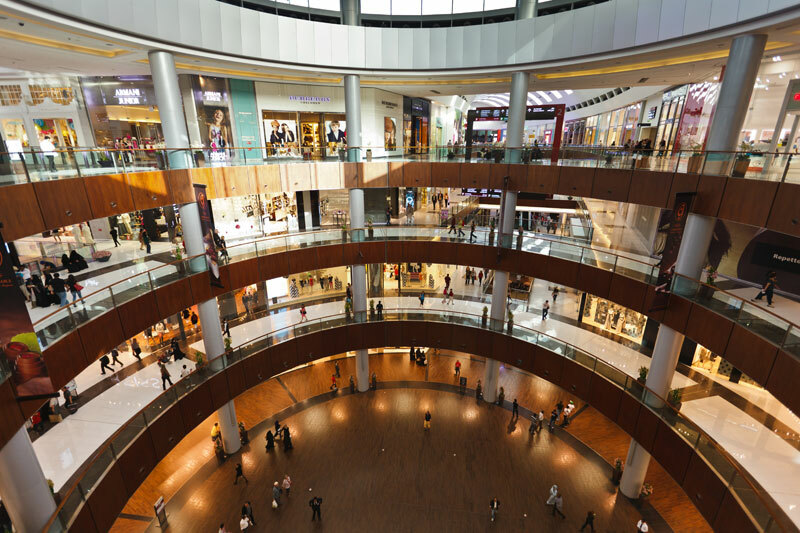 Although the restaurants at the malls are shut during the day, if you are a shopper, you do have a choice to eat at the food court where there is an endless array of cuisines on offer, including Indian, Lebanese, Turkish, Chinese, Japanese, Italian and Thai. At a little past noon, we walked through the hotel lobby which had a fresh and polished feel to it. The doorman pointed us to our taxi which drove us to the mall which was indeed only a short drive away. 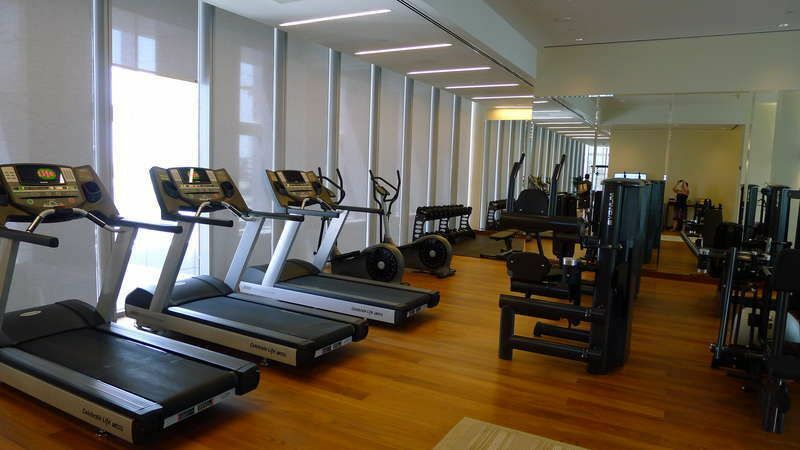 When we returned later that evening, we dashed to the fitness centre, hoping to shed off some of the calories we had packed on during our visit to Ireland and London. Here too we were greeted by the ubiquitous floor to ceiling windows which offered us views of the nearby glass clad high rises and the canal. 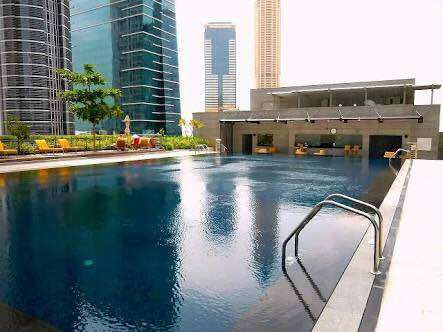 We complimented our work out at the 24-hour gym with a swim in the fabulous 25-meter outdoor pool. We used the pool twice during our stay and on both occasions were the only ones cooling off in the temperature controlled pool, given the low tourist season in Dubai and the relatively low occupancy at the hotel during the holy month. 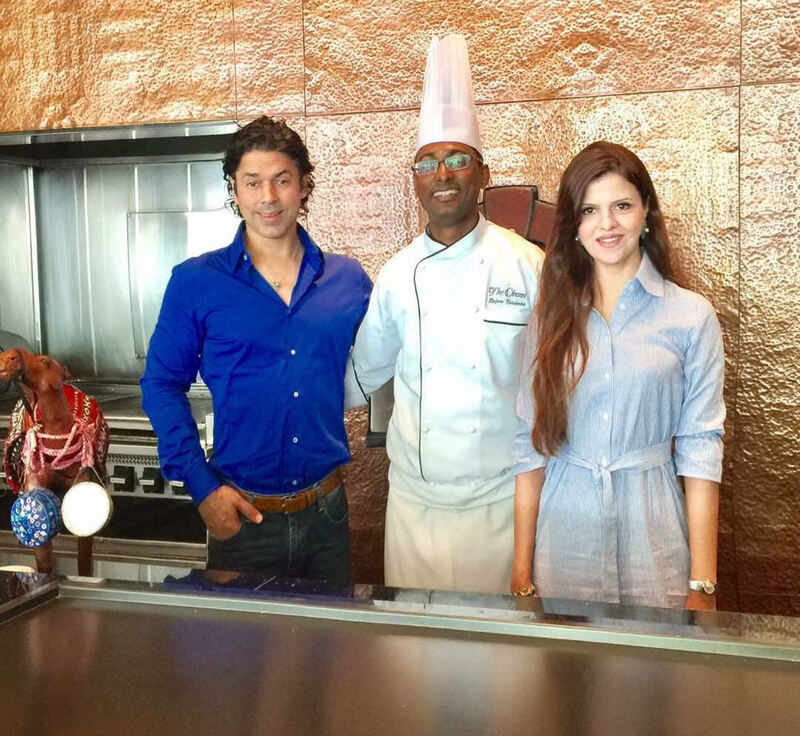 Sajjid Mitha & Laveena Mitha with Chef Rajeev Gopal Krishnan at The Oberoi Hotel Dubai. The Oberoi Dubai has an impressive collection of restaurants on site although we didn’t get a chance to eat at any of them except for Nine7one which was the venue for our daily breakfast buffet. And it is at breakfast that we met the ever friendly Chef Rajeev Gopal Krishnan. With a wide amiable smile, he walked up to our table and introduced himself. Chef Rajeev handed his business card to me. It said head pastry Chef. I very politely said that I was trying to knock off some of the weight I had gained while on holiday and he smiled and said that he wasn’t only a pastry chef but had a wide knowledge of cooking and was armed with culinary skills which he was confident would surprise us. While making known his love for South Indian cooking, with a host of recipes he had picked up from his loving grandma’s kitchen, Rajeev asked if we would like to try his special idlis, dosas and poha. Temptation got the better of us and we relented. A short while later, Rex and Saad who were waiting on us, served us the best South Indian idlis, dosas and chutney we had ever tasted. We feasted like royals and sadly had to give the rich breakfast buffet spread a pass. 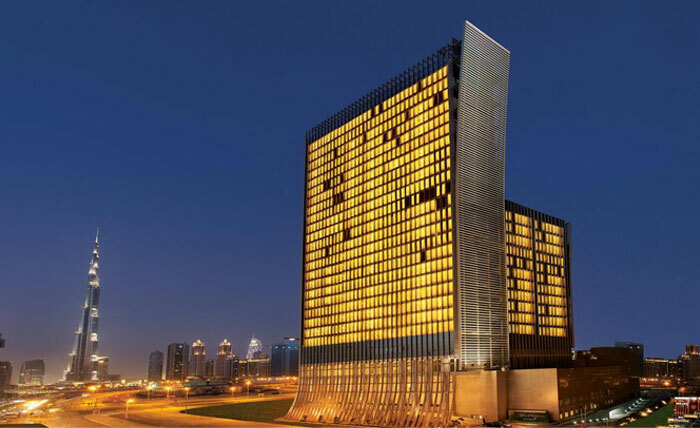 During the inauguration of The Oberoi Dubai, Chairman of the group, Mr. P. R. S. Oberoi had said that the hotels was The Oberoi Group’s first property in the UAE and it heralded a new era of luxury in the UAE. Our experience at hotel confirmed what Mr. Oberoi had said with the property clearly delivering on the Chairman’s promise. With an exceptional team under the watchful eye of the GM Mr. Karim Bizid, the hotel definitely stands out as a preferred choice in a city which is now over-crowded with renowned hotel brands. We look forward to returning to The Oberoi soon. Fantastic pictures, as always. I always love reading your travel diaries. This article is descriptive yet to the point. I really enjoy reading your blogs. 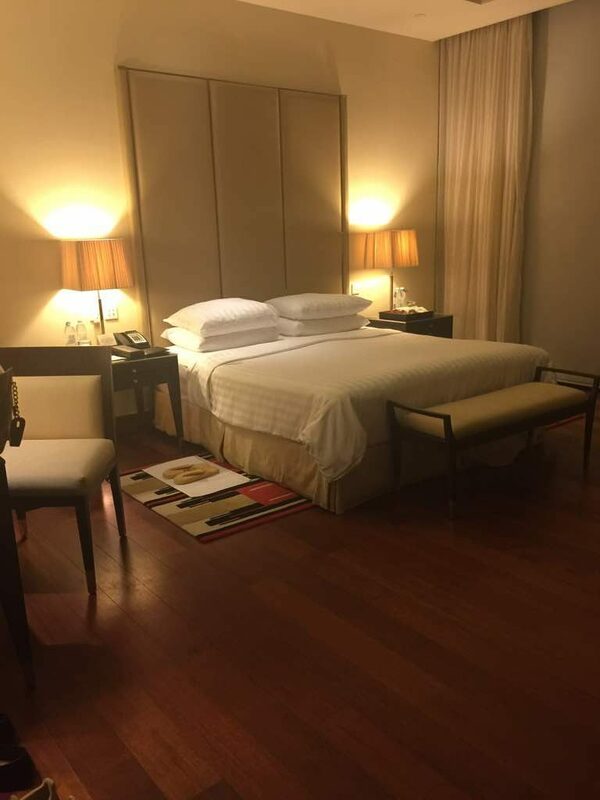 My experience at Oberoi Dubai was equally rewarding. They have exceptional staff, rooms, and just about anything you can think of. 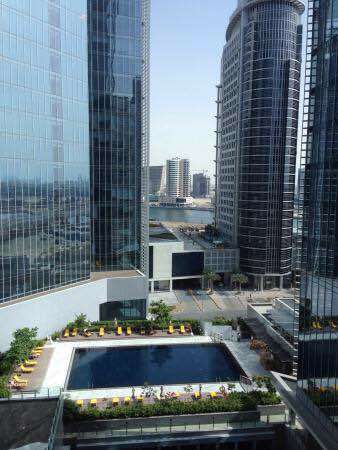 I am visiting Dubai next month and after reading your review and looking at the pictures, I made a reservation! I hope my stay will be as pleasant as yours. I visited Dubai few months back but missed staying at the oberoi hotel. After reading your review, I wish I should have chosen this property instead. I love how beautifully you have covered your stay there. This property looks stunning. The Oberoi brand is known for its stellar service and fantastic overall hospitality. I will bookmark it for the future. Dubai has some fab hotels. We stayed at Marriott and it was luxurious and we had a great time. This place also looks great will check out in our next visit. I feel like visiting this place right now! Very tempting…Especially the fact that Burj Khalifa can be spotted from the windows. Dubai is as such a fascinating destination and The Oberoi Dubai looks equally enchanting with respect to the facilities and luxury. The Oberoi in Dubai looks really massive and magnificent. It has the hallmark of the Oberoi brand and I am sure lives up to its brand promise. This place seems to be a luxurious stay option. Fabulous pictures and detailed description. I totally enjoy reading your blogs. thanks for sharing it with me. This seems to be a must stay place when someone is visiting Dubai. Looks like amazing place to visit with family and kids. Loved all the clicks. Would love to visit there sometime. This internal tour was just damn fab, loved the overall ambiance, I so wish to visit here once plus the way you have described each and every place is just damn fab! The interiors of the hotel look so beautiful, I cannot even put it to words! The service seems wonderful! Loved the pictures! 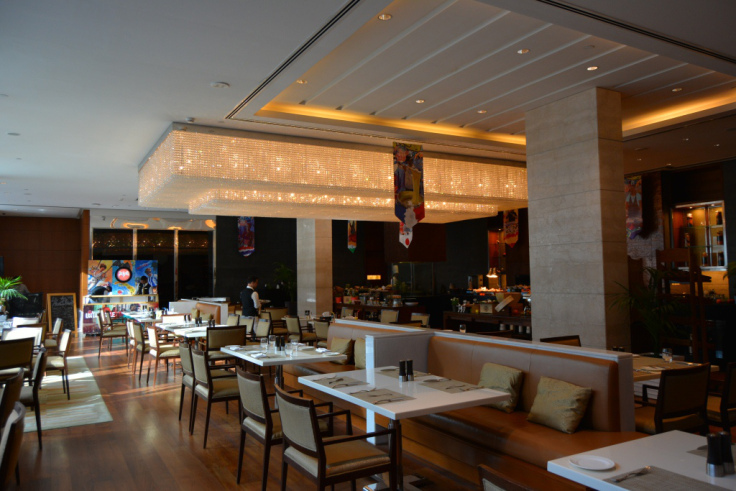 The Oberoi in Dubai is looking so luxurious and a perfect place to spend quality time . Will keep this in mind for any future trip to Dubai..